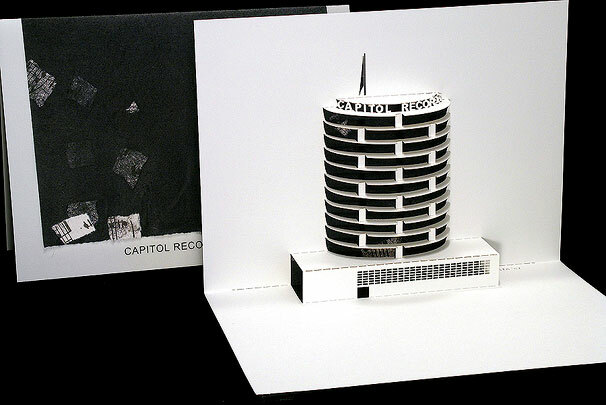 The Capitol Records Tower symbolizes Hollywood in the golden fifties. Built to resemble a stack of records with a stylus atop. The word Hollywood is blinked out in morse code from a beacon in the stylus.